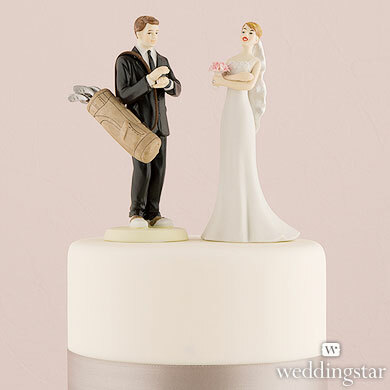 I am a big fan of cake toppers and I’m not just talking about those cute plastic figurines. Nope. I’m also talking about something pretty and elegant, or classic, or even whimsical. 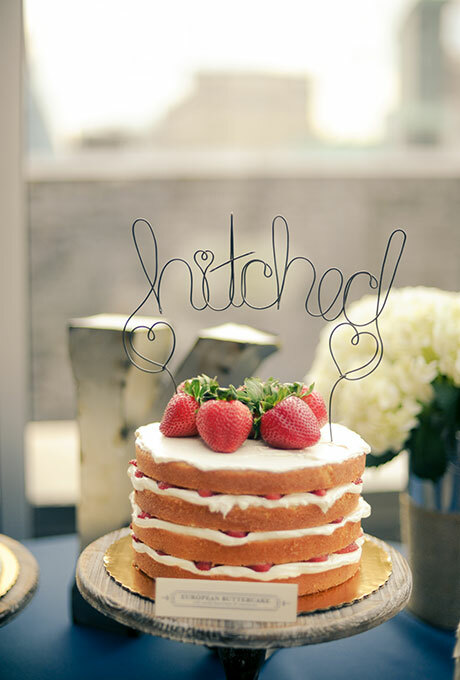 No one wants a naked wedding cake top, right? Even if you’re just going to use fresh flowers – at least the cake has something on top. I wanted to find something unique for today – since we only get to celebrate Leap Day every four years. 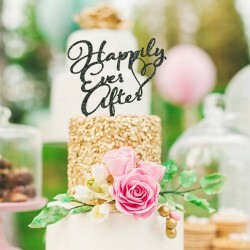 I think this wire “Hitched” cake topper is the perfect unique thing. I love this cake topper. Call me old fashioned (I am!) but I still love seeing a wedding cake with a cake topper representative of the happy couple. It might be passé to have a cake topper on your wedding cake but personally I think it’s fun – especially if that cake topper is perfect. If there's one thing we can't live without these days, it's our smartphones. So you had to expect that someone would come up with a cake topper that features a bride and groom with their phones. And friends, I found that cake topper. I have to say, it's rather adorable and I'd probably want it for my wedding cake. I will fully admit that had I been the owner of a smartphone 11 years ago on my wedding day, I would have been updating my social networks throughout the day.